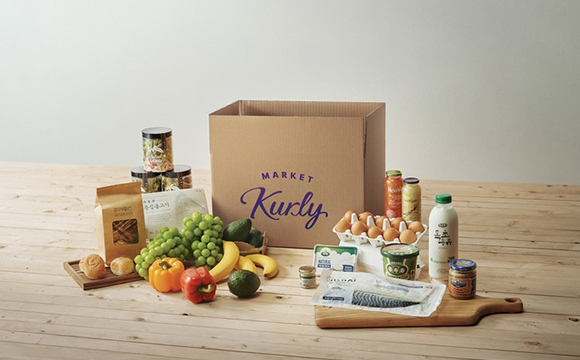 Kurly, which runs the fast-rising online door-to-door grocery service Market Kurly, has raised 100 billion won ($88 million) in Series D funding from existing investors, quenching market rumors about a potential sale or initial public offering (IPO). Kurly was refueled with 100 billion won from major investors at home and abroad including Sequoia Capital China, Global Venture Partners based in London and Berlin and Mirae Asset Venture Investment in Korea through its fourth fund-raising scheme, the company said on Thursday. Kurly is planning to use the fund to enhance its supply chain and staff to keep lead in the mushrooming fresh food delivery sector, it added. Sophie Kim, Market Kurly founder and CEO, has reportedly persuaded investors to have confidence in the business prospects and that it was premature to go public. There had been some M&A talks with chat operator Kakao last year, but no progress has been made. Market Kurly, founded in 2015, is an online grocery service that delivers fresh foods ordered before 11:00 p.m. to customer’s door by the next morning before 7:00 a.m. It has grown sharply amid a rise in health-conscious, single-living households in Korea. Its revenue jumped to 157.1 billion last year, but it remained in the red with a loss amounting to 26.6 billion won as of 2017.